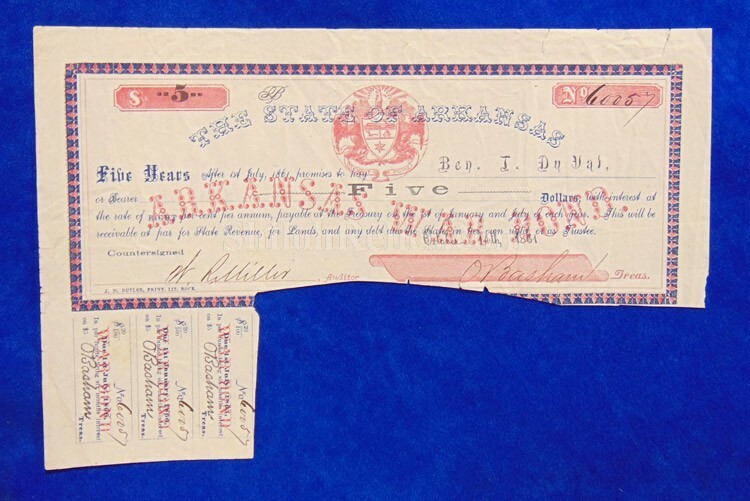 This is a beautiful original Civil War savings bond from the state of Arkansas. 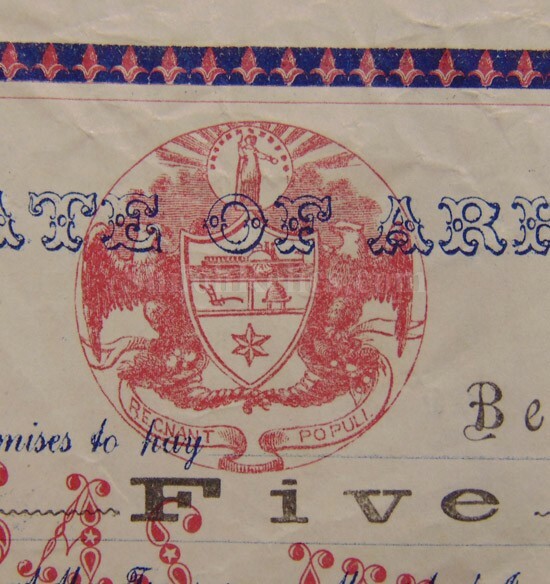 This is the style that was done in 1861 for the sum of $5. It has red, blue and black ink that gives it a great colorful look. The center of the main section has the great seal of the state of Arkansas. 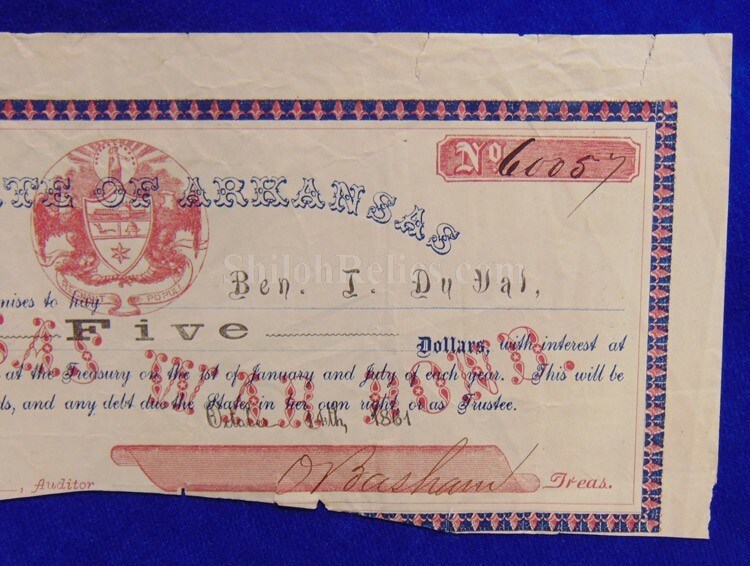 It has a wavy red printing that reads "ARKANSAS WAR BOND". It is correctly hand signed and numbered in ink. The main bond as well as the interest coupons below is all serial numbered 60,057. 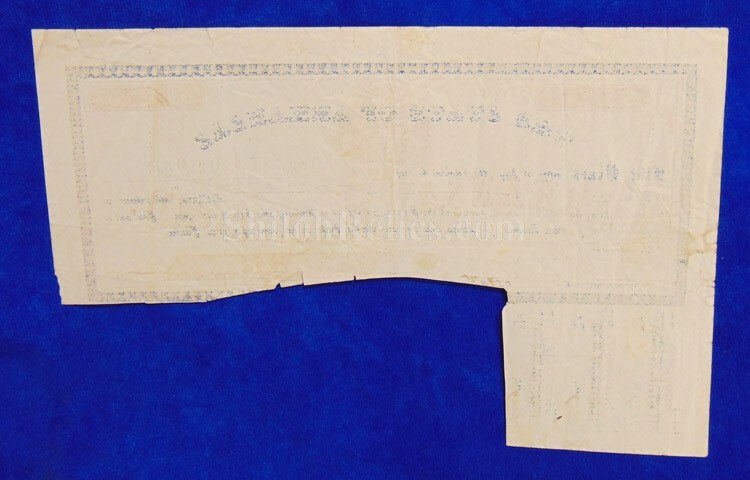 It still retains three of the original ten interest coupons attached at the bottom. 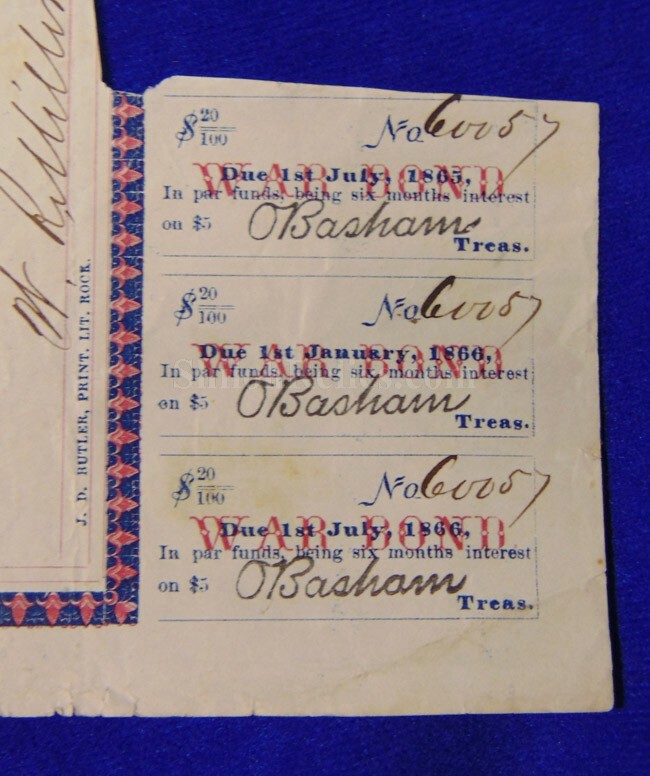 These coupons were how the person that purchased the bond receive the interest on the note. When the date arrived on the bond coupon they trimmed it off and took it in to receive the interest from the bond. The overall size of the bond measures 8.75 inches by 5.75 inches. 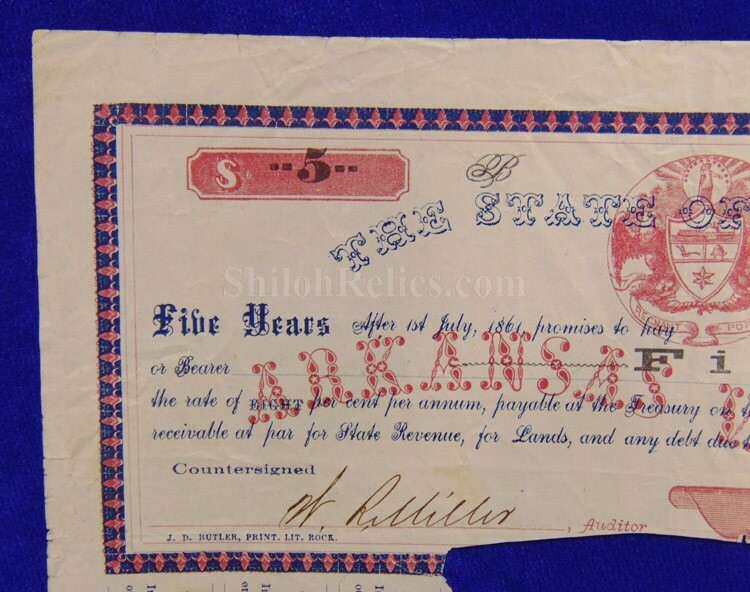 This is a beautiful piece from the state of Arkansas from the Civil War Confederacy.